Julian Barbour studied Mathematics at the University of Cambridge and obtained a doctorate in theoretical physics in Germany before becoming an independent researcher in 1968. His work has been entirely on foundational issues in dynamics. He shares Mach’s conviction that both time and motion are relative and his work has concentrated on finding precise answers to the two questions: What is time? What is motion? These are central issues in the interpretation of Einstein’s general relativity and will be critical in the creation of the long-sought unification of general relativity and quantum mechanics. He has published about 30 scientific papers and written two books (The Discovery of Dynamics and The End of Time) and he was joint editor of the conference proceedings Mach’s Principle: From Newton’s Bucket to Quantum Gravity. Currently he is writing a book that will summarise his life’s work (The Principle of Relational Dynamics). 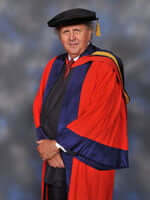 Trevor Beedham was educated at High Pavement Grammar School, Nottingham. 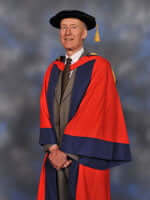 He qualified BDS LDS in 1965 from The Royal Dental Hospital and then graduated from the London Hospital Medical College in 1972 having won a number of undergraduate prizes. After training appointments at the London and the Westminster Hospitals, in 1981 he was appointed consultant in Obstetrics and Gynaecology to the Royal London Hospital. Following work with the North Thames Deanery and the Royal College of Obstetricians & Gynaecologists, he became Clinical Director in 2003 and then Deputy Medical Director at Barts and the London NHS Trust, from which he retired in 2009. 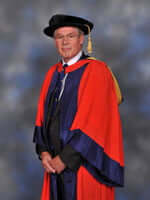 At the School of Medicine and Dentistry, Queen Mary College, he became Honorary Senior Lecturer & Dean for Clinical Teaching in 2005 and Honorary Professor in 2008. 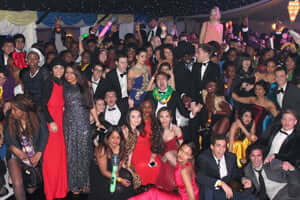 For many years he has been an examiner in obstetrics and gynaecology to a number of universities in the UK and overseas. He is an Honorary Member of the Central Association of OBGYN and site Visitor for the International Association of Medical Colleges of the USA. He has written and contributed to a number of textbooks and original publications. He became an Apothecary in 1984 and was elected Master of that Livery Company 2009-10. He married Anne in 1966 and they have 3 children. Alexander McCall Smith was born in what is now Zimbabwe, and he was educated there and also in Scotland. He retired from the post of Professor of Medical Law at the University of Edinburgh several years ago to concentrate on his writing career. He has written more than 60 books, including specialist academic titles, short story collections and children’s books, but he is perhaps best known for the No. 1 Ladies’ Detective Agency series, set in Botswana, which has sold over 18 million copies worldwide. He has also written two Edinburgh based series – The Sunday Philosophy Club, and 44 Scotland Street, as well as an online daily serial for the Telegraph newspaper, called Corduroy Mansions. Alexander McCall Smith lives in Edinburgh with his wife, Elizabeth, and has two daughters. His hobbies include playing wind instruments, and he is co-founder of an amateur orchestra called “The Really Terrible Orchestra”. In 2007 he was awarded a CBE in the Queen’s New Year Honours List, for services to literature.